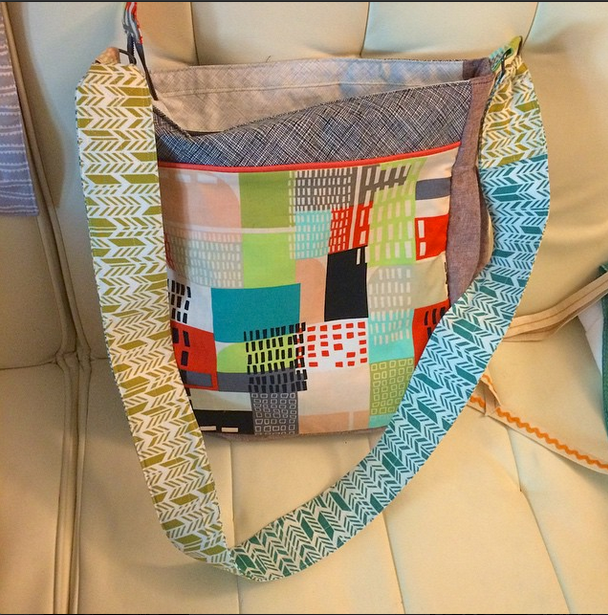 I love the super tote pattern – have I mentioned that? I’m sure I have. Noodlehead is a pattern writing master, chic and easy! I dug out some fabric from my stash and made myself a shoulder bag that was 1″ smaller on all of the pieces. I left out the elastic pockets on the interior and added a welt pocket inside instead. I wish I would have put one on the back exterior as well – would have been very helpful for my plane tickets, phone and other bits and baubles. I should have added an adjustable shoulder strap, but I ran out of time before I had to actually pack… next time. Posted in Finished QuiltsBookmark the permalink.